"Hey, we should do that baptism thing" said one of the 15 year old boys as the group walked by the stream at the bottom of the valley. The dark-haired teenager was still buzzing from his new-found faith, having decided to follow Jesus the night before. As they began to wade into the water, their leader Stu, told them to just hang on for a minute and he quickly scaled the hill to get some phone range and called me - he asked me what I thought. I told him I'd ring him back, and then sent their youth pastor down to chat to them. 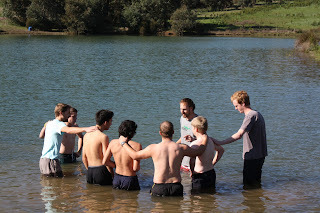 24 hours later (including 2 hours of discussion with the boys and five phone conversations with parents), that same youth pastor stood in the freezing cold water of the campsite's dam, and immersed 5 young men. - that this bold declaration of faith was entirely initiated by the boys themselves? - that the one who first suggested the idea had no church background at all? 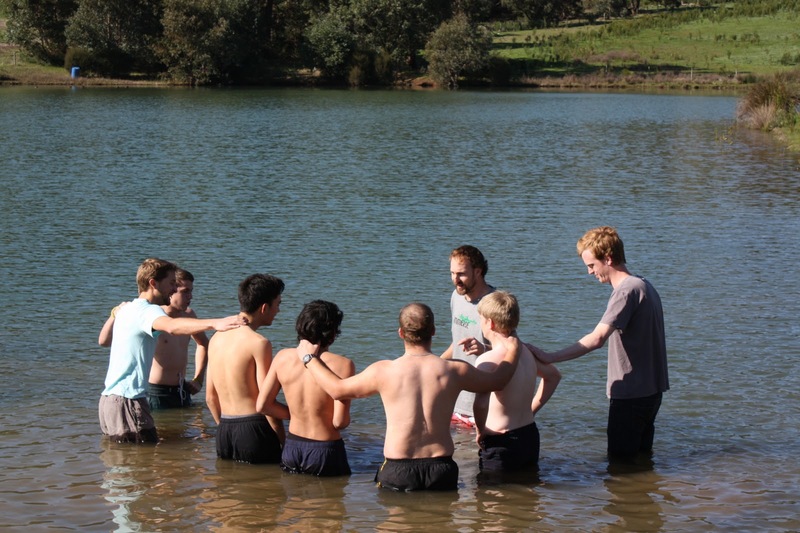 - that three parents drove two hours south of Perth at the last minute to witness this baptism? - that one of those parents who came carries no faith background at all? - that the other set of parents not only got to see their own son baptised, but also his friend whom they had financially sponsored to be there? ... I'm still scratching my head over the irony that IMMERSE WEST ended yesterday in a far more literal manner than what I ever could have anticipated.